Logistec pedestrian operated powered tugs from Sitecraft provide an ideal solution to manual handling and health and safety issues within a workplace. 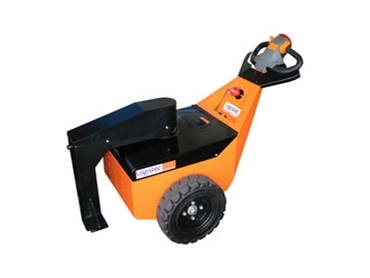 These pedestrian operated powered tugs are battery powered and designed to push, pull and manoeuvre loads of up to 12.5 tonnes on castors, ensuring safe and efficient handling for operators. All products in the Logistec range can be operated by a single user in a safe and efficient manner, eliminating the need for extra manpower. Sitecraft has custom design capabilities ensuring the optimum solution is provided. More information on pedestrian operated powered tugs is available from Sitecraft.